Yoga Teachers India: What Differentiates Them from the Rest? Home » best yoga teachers in india » yoga guru india » yoga teachers in india » yoga teachers in rishikesh » yoga teachers india » Yoga Teachers India: What Differentiates Them from the Rest? Learning yoga in India has its own advantages. From a budget perspective, it is certainly an economic incentive because the cost of learning yoga in India is comparatively low to learning yoga in the United States, UK or anywhere else across the globe. However, the most critical factor is that you get the best yoga teachers in India that teach you yoga not only to attain mental and physical stability but to make it your way of living. Yoga schools in India do offer you courses that are internationally recognized by Yoga Alliance and Yoga Alliance International, but it is the training that matters more than the certification. Yoga teachers in India have a sound basic knowledge about all the asanas and how it affects the body and mind. 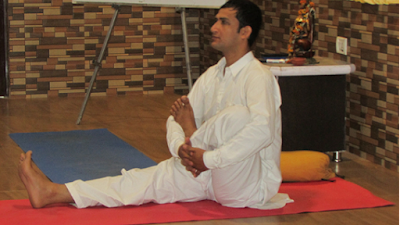 Since they have incorporated yoga as their way of life, they understand the details of every posture and breathing techniques and how a student can master it gradually. One of the key factors that differentiate yoga guru in India from the other professional yoga teachers is being passionate, responsible and versatile. Yoga is divine and practicing and imparting it requires a certain amount of passion and dedication. At the same time, they are patient and understanding allowing the student the time to learn at their own pace. Kaivalya Yoga School probably has some of the best yoga teachers India that makes the entire process of learning yoga fun and simple. The teachers here also provide you some time to relax, rejuvenate, and find your own conditions to achieve the Absolute.